After finding success producing R-rated (or ‘M’ since it’s TV) shows for Netflix, Marvel is moving to another streaming service for their latest TV-14 venture. 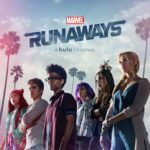 Today, Marvel’s Runaways debuted with three episodes on Hulu with new installments to follow for the next several Tuesdays. Based on the comic series of the same name, the show follows a set of six friends — or former friends, at least — as they not only discover a dark secret about their parents but also learn some surprising things about themselves. I will say that the first episode of Runaways ended a lot sooner than I was expecting. Furthermore, you can imagine my momentary disappointment when, instead of getting to see what happens next, I was greeted by a second episode titled “Rewind.” However, this was a detour worth taking as the episode focused mostly on each set of parents and provided much greater context for what transpired in the pilot’s final act. It’s in episode three that the main plot of the show really gets rolling. 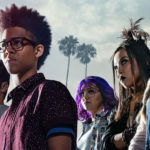 Additionally, while the teens are still the decided stars of the show, there is a greater balance between kids and adults than there was in the first two episodes. Ultimately, it’s clear why Hulu opted to release these three installments at once as I can say with confidence that this mini-binge has me hooked. For fans of the Runaways comics, I should note that, according to my wife, there have been some changes made from the source material. While I won’t go into details, she maintains that these changes don’t immediately present any negatives (she was only able to screen the first episode with me because of this pesky thing called “work”) and shouldn’t disappoint. Meanwhile, I can affirm that newbies like myself should have no problem following along even without knowledge of the comics. 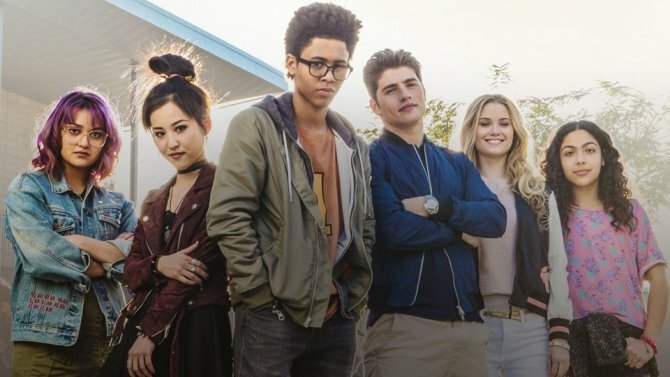 All in all, I was really taken with Marvel’s Runaways. Aside from some brief instances of questionable CGI, I love the look of the show, which is accompanied perfectly by a tone-setting score. I also appreciate that, while there are some Breakfast Club-esque undertones in the teen’s group dynamic, it never rises to the level of cliche. Finally, I’m really glad that Hulu gave us three episodes to watch today… even if their doing so took me away from my morning plans. I guess what I’m saying is that I’m ready to run away with this latest Marvel series. I give Marvel’s Runaways 4.5 out of 5 Hulus (whatever those are).